***Back on the market at no fault of the seller or the home. 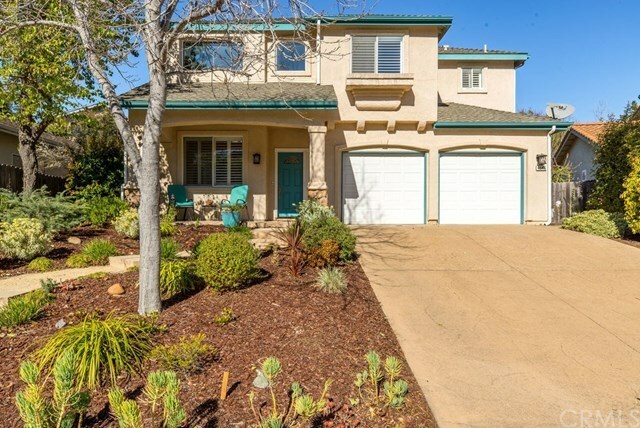 In the heart of one of San Luis Obispoâs most sought after and vibrant neighborhoods, this impeccably maintained, two-story home is near walking paths and Islay Park. The home features four bedrooms, and three bathrooms, in 2,091 square feet of living space. A few upgrades include, plantation shutters, quartz countertops in the kitchen, new carpet in the bedrooms, a master bath jet tub and an outdoor gas plumbed fire pit. Owners enjoy a private lot and a large, private and nicely landscaped rear yard that includes an apple, plum, pear and peach tree. Directions: Tank Farm Rd to Wavertree. Home is on the right side of the street.